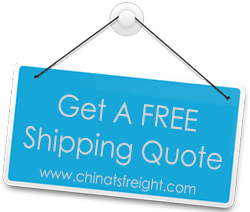 At TS Freight, we are committed to helping businesses with their cargo import from China to Vietnam, through our efficient and reliable International Ocean Shipping and International Air Shipping services. Our presence of over 10 years in the international import industry has earned us recognition as one of China’s preferred freight transport services. Our time in the industry has also enabled us to forge connections with the top transport carriers on the route between China and Vietnam. As a result we can offer our customers the best prices in air and sea freight transport packages. We can import goods from most major Chinese cities including Tianjing, Shanghai, Ningbo, Hong Kong, Xiamen, Shenzhen etc. and transport them to major cities in Vietnam including Hanoi, Ho Chi Minh City, Can Tho, Hai Phong, Da Nang and others. Our international clients have lauded our logistics process which has been streamlined into near-perfection with experience. We handle all import activities beginning with arranging for cargo pickup and inventorying it, to packaging and handling right up to final dispatch of your goods to the destination city in Vietnam. Customs processes and documentation are also completed by us to make the import procedures as hassle-free as possible for our clients. If you work with us for your cargo shipping from China to Vietnam needs, you will have the expertise of our trained staff at your service. We accept import orders of all scales, no matter the size of your cargo. Once you choose our service, we will help you decide the best transport plan to suit your budget and required delivery times. Call us or email us with your preferences and we will send you a price quote that you will find affordable. You can also speak with our customer care for help in choosing a plan that will suit you best.